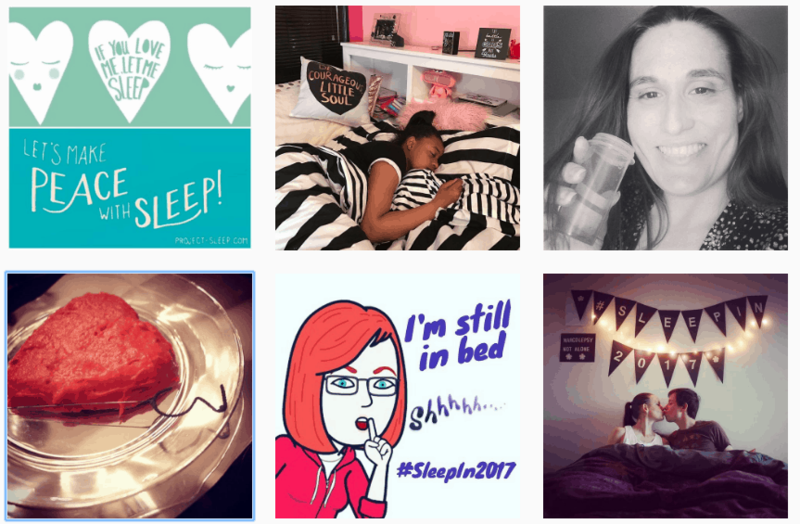 Sleep is an overlooked pillar of health and sleepiness is often confused with laziness. 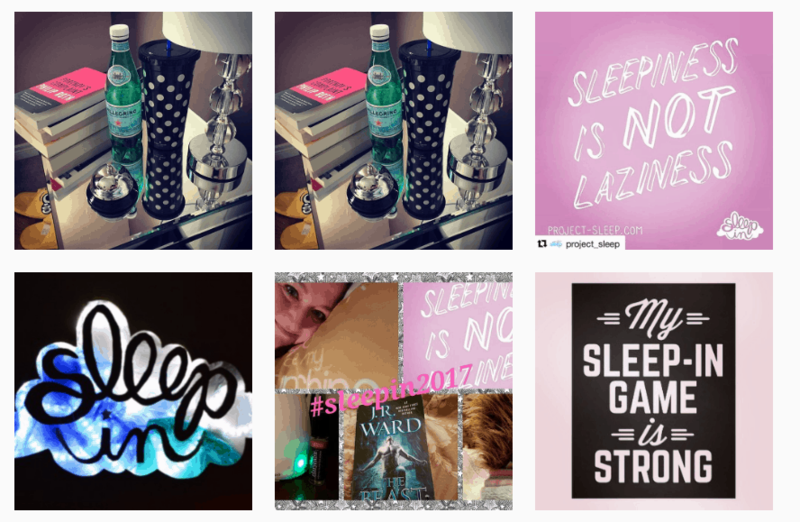 This is why on March 10-12, 2017, Project Sleep’s Sleep In 2017 rallied individuals around the world to make peace with sleep. 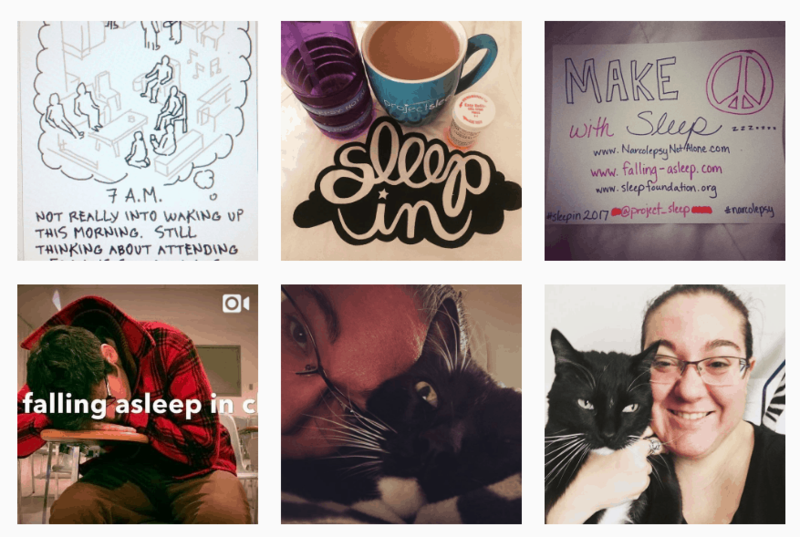 This third annual event challenged individuals to stay in bed for 12-48 hours over the weekend while raising awareness via social media (#SleepIn2017) and raising vital funds for Project Sleep. 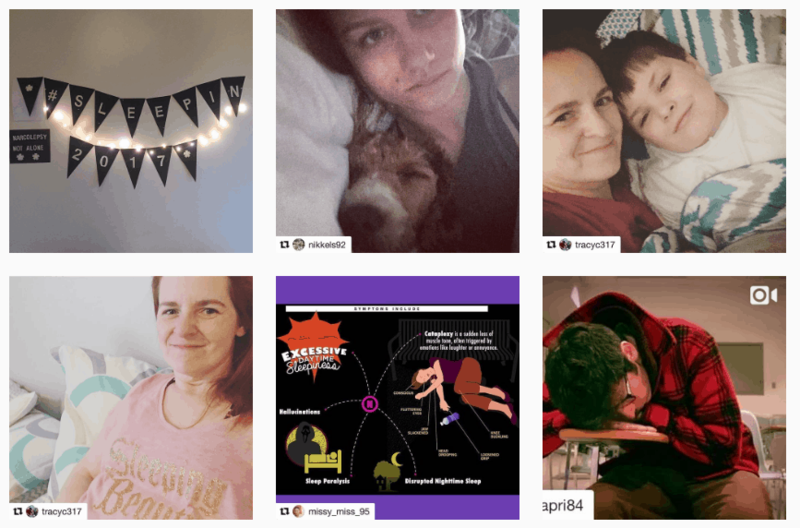 Friday’s InstaSleepIn kicked things off with participants sharing photos of themselves (and their pets) getting ready for bed. 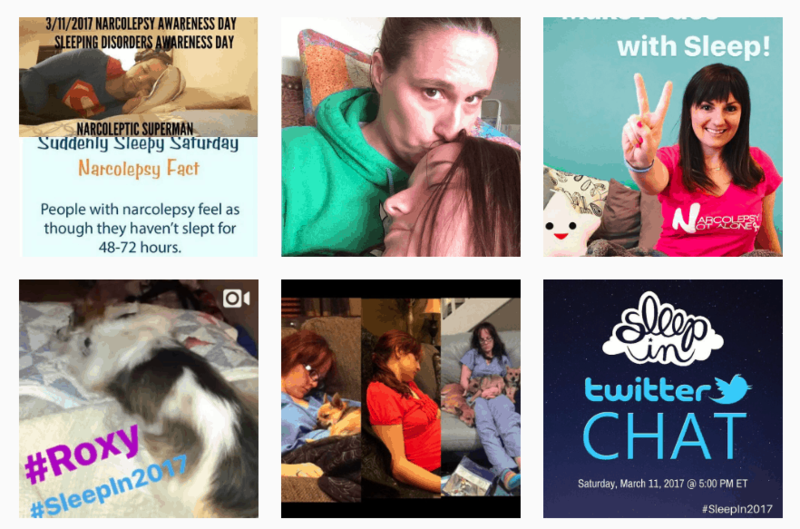 On Saturday morning, Project Sleep’s founder and president, Julie Flygare hosted her first-ever Facebook Live Broadcast (watch below). 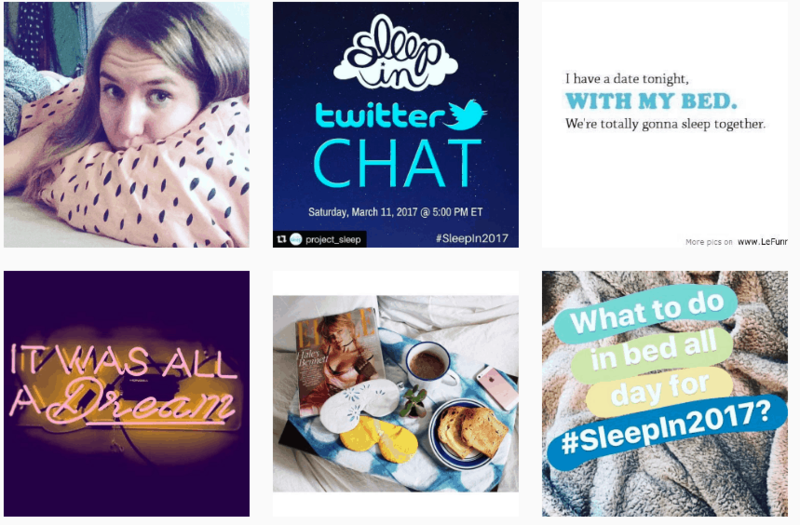 Saturday afternoon, the official #SleepIn2017 Twitter Chat was a flutter with participants sharing great tips and empowering perspectives on sleep. On Sunday evening, the R.E.M. Dance Party with DJ Fe was an epic grand finale to the weekend’s “restivities”. DJ Fe is one of the hottest DJ’s out of the Hudson Valley, New York area and a person living with narcolepsy. 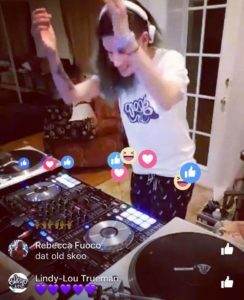 Wearing a Sleep In t-shirt, awareness bracelet and pajama pants, DJ Fe broadcast an infectiously fun set over Facebook Live. 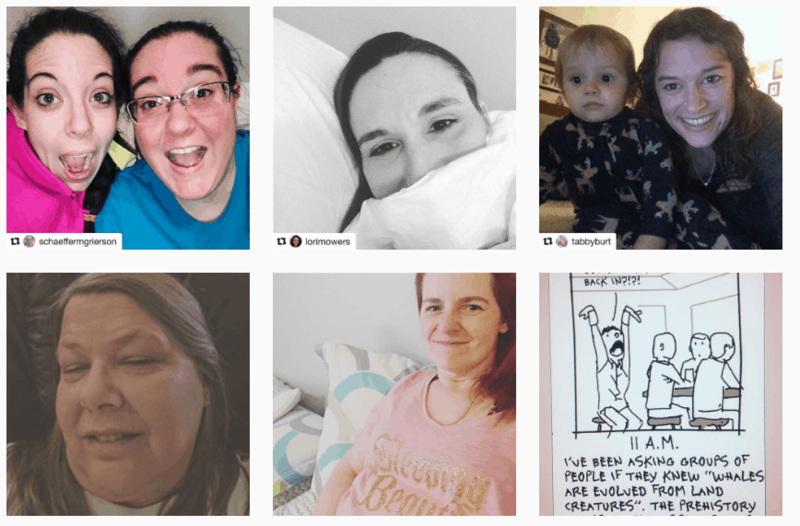 Participants were literally dancing their way into the night feeling rested and connected with the broader sleep community around the world. Thank you to DJ Fe for her amazing contribution! Check out DJ Fe on Facebook: www.facebook.com/Theoneandonlydjfe. 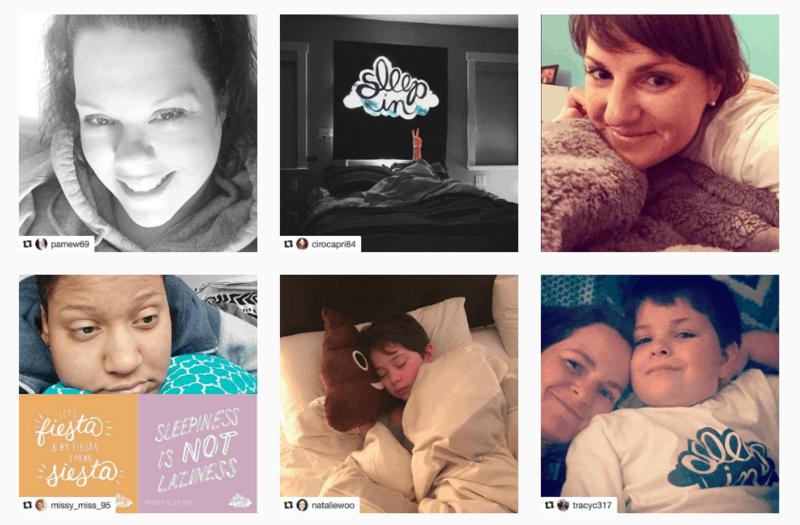 Thank you to our amazing Sleep In 2017 award recipients, participants and generous supporters who made this weekend a huge success! 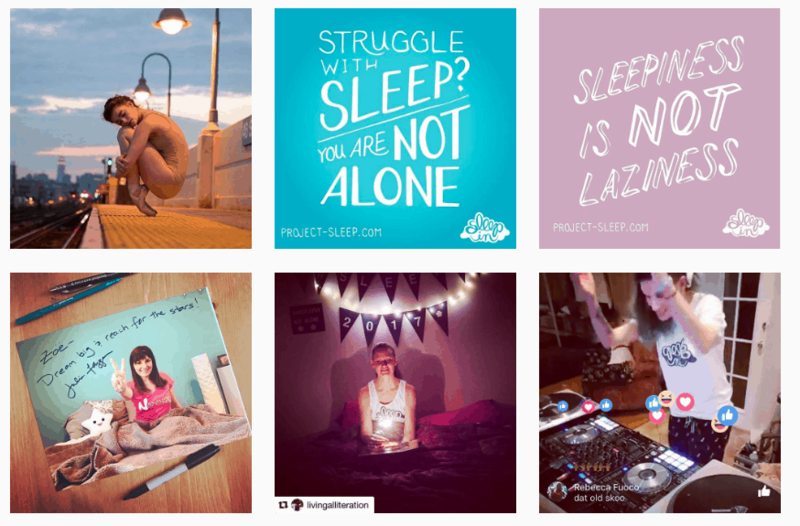 The funds and awareness you raised make a huge difference in helping Project Sleep fulfill this mission into the future. Also, a huge thank you to Project Sleep volunteers, Tracy Christensen and Ciro Di Ruocco for giving their time and “spoons” to support this cause. 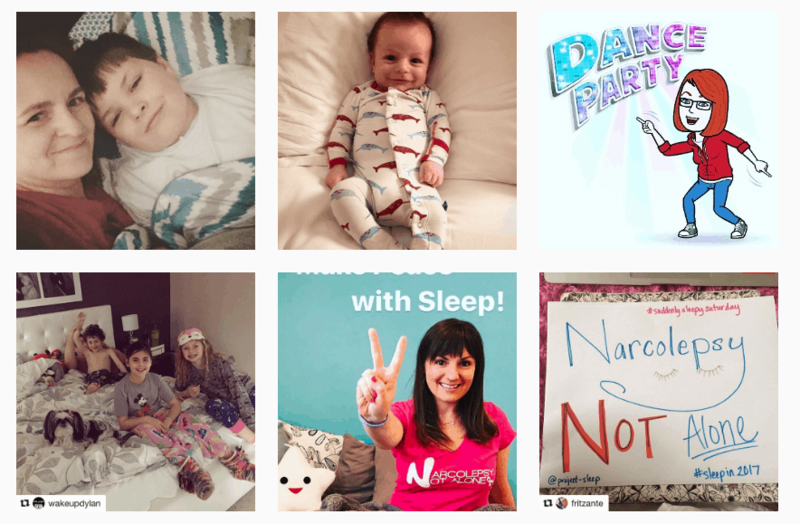 We can’t wait to Sleep In with you again next year!